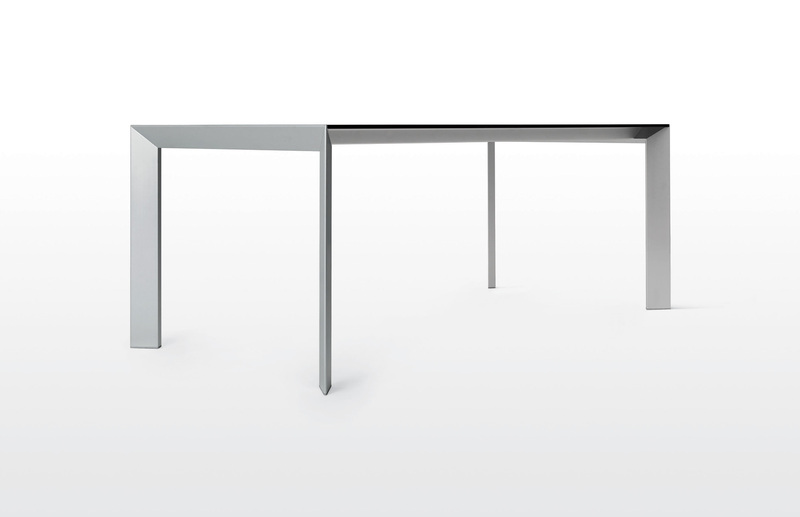 Nori, a table with a modern design in a fixed version or extendable with multiple possibilities of finishes and colors. 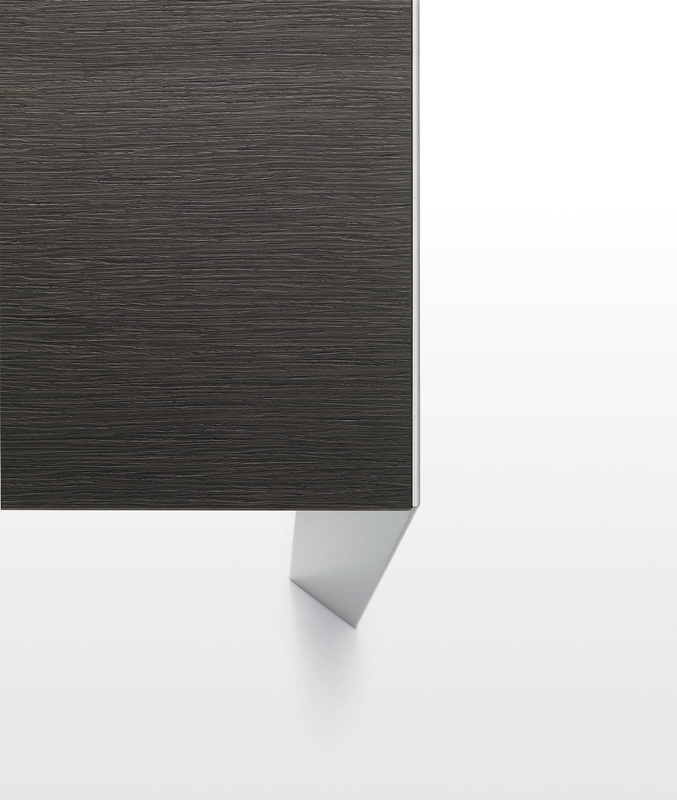 The Nori legs, in anodized or lacquered aluminum, sharp and aggressive lines, leaving a deep impression in the surrounding space and for observers. 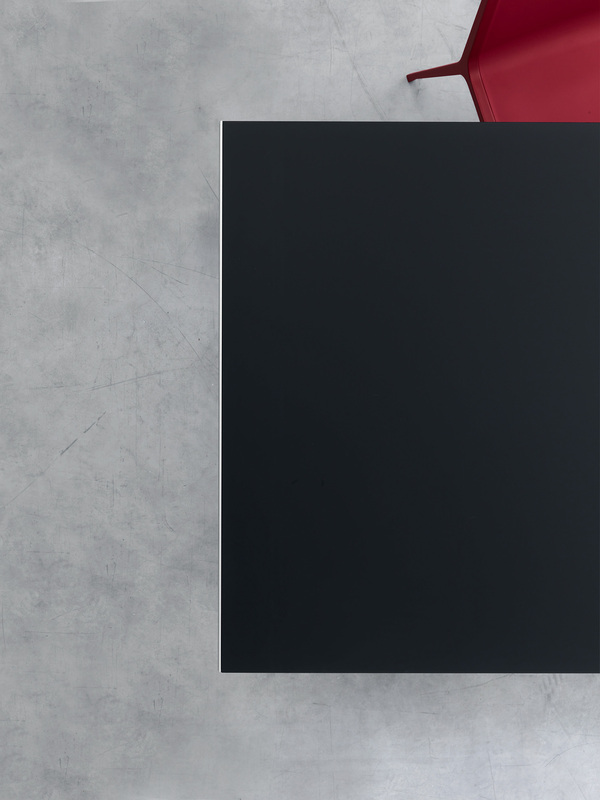 The plan is extremely slim and light, but also highly resistant, thanks to the materials used. The combinations between the structure and the plan are infinite, to suit all tastes and requirements. 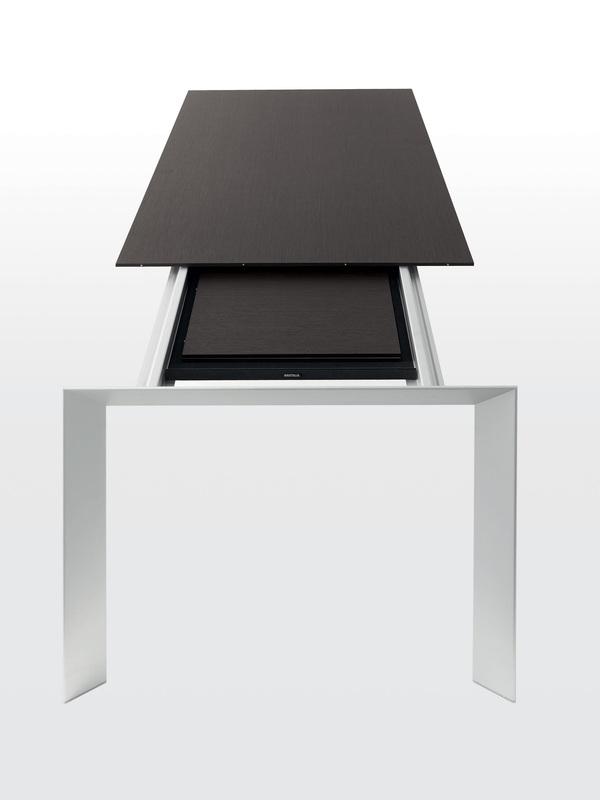 The table is available in a fixed version or extendable only for inside. 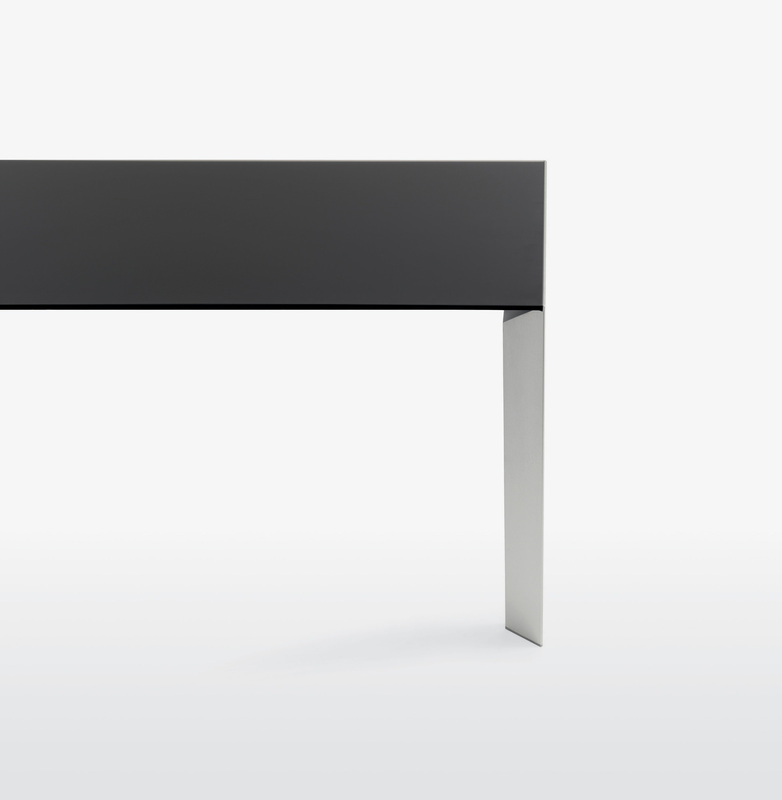 The fixed version table can become a designer desk thanks to the insertion of the cable hole.